Taken from Amal's Vogue interview, but it made me smile that they couldn't stick to a cleanse either. It’s easy to look at Amal Clooney—accomplished human-rights lawyer, undoubtedly beautiful, married to George—and assume her life must be perfect. She must be perfect. Thanks to her Vogue cover story, the world can now rest easy knowing that there’s one thing Clooney hasn’t been able to conquer: cleansing. 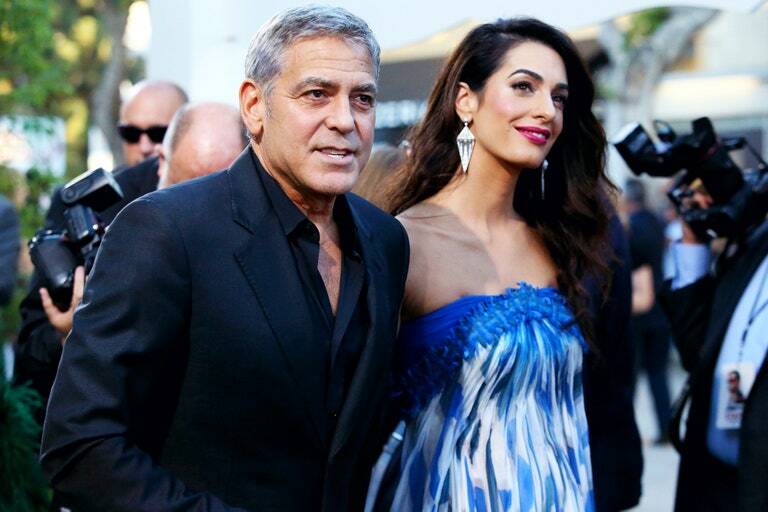 While speaking with Vogue, Clooney sipped on a mug of espresso, recounting her and George’s 21-day cleanse, of which they lasted 11, explaining that there are certain things she just couldn’t give up. While she may not be able to rid herself of her wine and caffeine vices for 21 days, there are, of course, many other astonishing things she can do, as Vogue reminded us. She’s faced off against ISIS, worked on the Enron case, and lived on a compound in Beirut while she worked on a U.N. investigation of the murder of Lebanon’s prime minister, Rafic Hariri. She’s also spent years of her career as a champion for women around the world. She now has her own daughter, 10-month-old Ella (plus Ella’s twin brother Alexander), and believes that there’s a bright future for her in the workplace thanks to the success of the #MeToo movement. I loved reading that. I’ve never done a cleanse but have friends who have. I never understood the whole concept. If you cleanse for a couple of weeks and then go back to your regular diet what does that actually accomplish? Toxins are flushed from your system. Hmm, but then you just reintroduce them when you go back to eating normally. None of my friends who have gone through one have actually repeated the ordeal. I remember George telling Charlie Rose, when they did the house tour in Studio City, that he was trying a cleanse. He didn't seem too thrilled by it back then so I'm a little surprised he tried it again. Maybe this time it was Amal's idea. Whatever, I'm not surprised he only stuck to it for eleven days. He was dating Stacy at that time. I've done a three-day 'juice fast' several times (about once a year) and hate it each time. I do it because it's a great way to re-set your tastebuds (I find myself gradually eating more and more sugar over the year and this re-sets my need more or less back to zero - after three days of cabbage and suchlike, an apple is wonderfully sweet enough) and it reminds me that I can live without garbage in my life. But no, it's not fun. I'd certainly not do anything that's longer than three days because I think I would actually kill people.